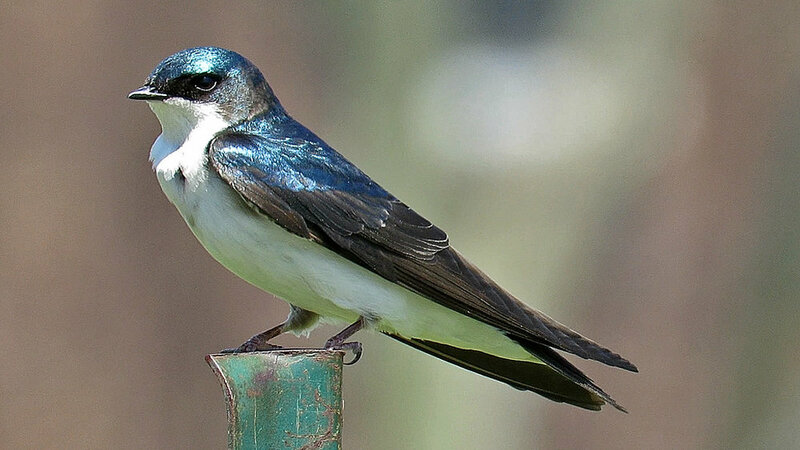 Tree swallows (Tachycineta bicolor) are amazing bug-seeking aerialists. They are given public housing in several locations in New York City, including Governors Island and Jamaica Bay Wildlife Refuge. When Governors Island reopened on May 1, 2018, we were on the first ferry at 10 a.m. 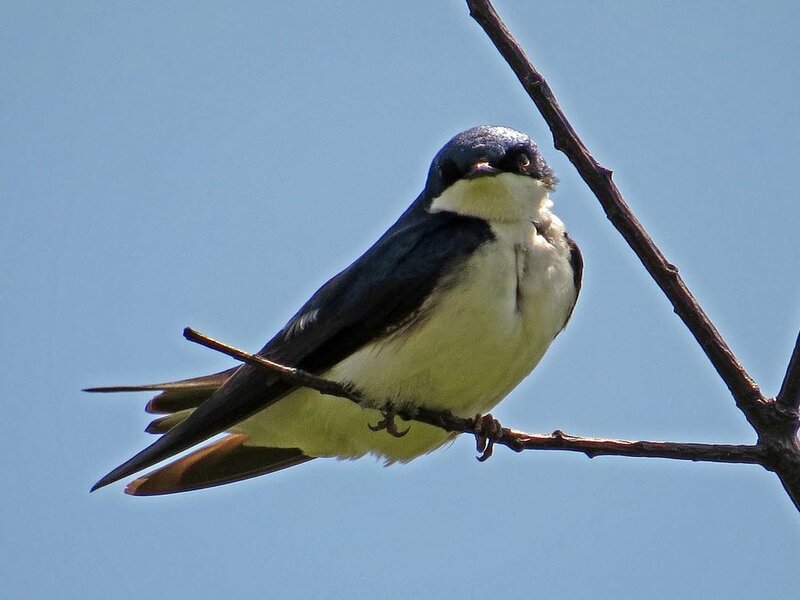 I especially wanted to see if the tree swallows were reestablishing their nests. They were! The second Filming the Feathers video featuring the tree swallows is set on Governors Island and is accompanied once again by Papalin playing Béla Bartók. These photos were all taken on May 1, 2018, on Governors Island. These tree swallows were at Jamaica Bay Wildlife Refuge on May 14 and 16, 2017. In the Filming the Feathers video, they are seen soaring over the water and trees, going in and out of their nest boxes, perching briefly on branches, nest boxes and refuge signs, and mating on a tree branch. I set the Filming the Feathers video to music by Béla Bartók (Romanian Folk Dances, Sz. 56, arranged for recorders, performed by Papalin) and Pyotr Il'yich Tchaikovsky (the Scherzo Pizzicato movement of Symphony No. 4, F Minor, Op.36, credited to European Archives), both pieces obtained from MusOpen.org, a royalty-free music source. While the swallows roam alone"
These photos are from the May 14 and 16, 2017, trips to Jamaica Bay Wildlife Refuge.